Our oysters feed on the phyto plankton carried in by the various currents of the Atlantic Ocean. Plankton are microscopic plants, and require nitrate and phosphate to grow. These nutrients are the fertilizers of the sea and the North Atlantic Ocean is one of the most fertile in the world. Both these minerals are dissolved by chemical weathering and are transported to the sea by the process of coastal erosion. The shallow waters of Ballinakill Bay provide an optimum depth for the growth of phyto plankton. 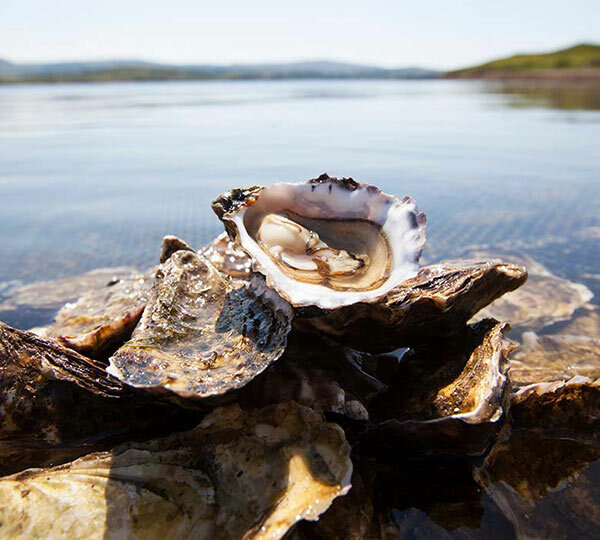 The minerals provided by the Connemara hills fertilise these waters giving our oysters a rich and healthy food source to ensure optimum growth.